It's one of the most prevalent and enduring myths regarding Anarchism. It's reinforced daily with news reports of countries that have "descended into anarchy" or political pundits railing against things that we can't do because it would (gasp!) lead to anarchy. 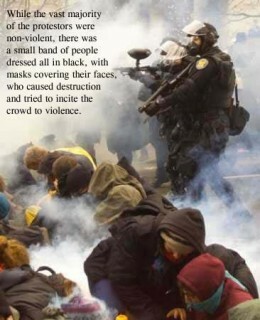 The idea that Anarchy and chaos are synonymous has been firmly entrenched within the lexicon of modern imagery. Yet, it couldn't be much further from the true nature of Anarchism. Anarchists don't oppose society, order, or laws in general. What they do oppose is the idea that one segment of any society should arbitrarily be elevated above and given the power to lord over the rest of that society, not the existence of society itself. In order to understand the distinction it is essential to avoid confusing governance with the Government. The Government, as an institution, is a segment of the population which is set apart from and above the population in general. They are imbued with unwarranted privileges and vested with the authority to dictate to the rest of that population, usually against the will of the vast majority of that populace, generally by force, and often without having to observe those same rules themselves. On the other hand, governance is simply the rules by which a group structures the society in which they live. 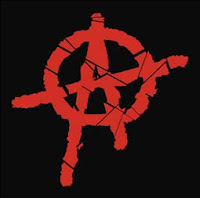 Anarchists believe that it is not only possible, but actually beneficial that members of any society be free and willing participants of the governance of that society. Su ch self-governance ensures that the members of that society have a vested interest in it's welfare and success. In contrast, a multi-tiered system of society creates a situation in which an individual or group of individuals is elevated above the rest of society. At best, this creates opportunities for corruption and abuses of authority. At worst, this leads to outright slavery of those at the bottom rungs of that ladder. Furthermore, in reality, most Anarchists are opposed to unnecessary violence and destruction and many even are pacifists. The Government, however, has always, without exception, resorted to force of one type or another to impose their will upon their subjects. In fact, the very nature of hierarchal rule creates an "us against them" type of relationship that encourages conflict between those making the rules and those being ruled. Many simply accept the idea that, because some level of governance is necessary within a society, then we must bow down to and be abused by people who take advantage of that need to justify and legitimize their crimes and extort special privileges from the rest of society. Anarchists recognize that there is a better, less violent, way.